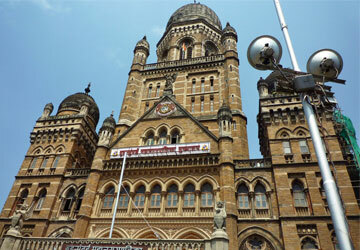 The Municipal Corporation of Greater Mumbai (MCGM) is considering the raising of funds to the tune of Rs2,000 crore as India's richest civic body struggles to overcome a financial crunch created by a projected shortfall in revenue collection and massive expenditure on projects. "MCGM is exploring ways to raise around Rs2,000 crore through internal loans and also by ways of bonds and fixed deposits lying with banks," municipal commissioner Swadheen Kshatriya told PTI. "We have written to the State government seeking permission to raise internal loans and hope to get a reply soon," he said. The corporation, which has an annual budget of over Rs15,000 crore—more than some small Indian states—is likely to face a drop of around Rs600 crore in collection from octroi, one of its key revenue streams, in the current financial year. The civic body is trying to find out reasons behind the drop of around 10%-15% of an estimated octroi collection of Rs4,300 crore in the current fiscal, he said. "We are examining the causes of likely shortfall in octroi collection. Whether it is recession, slackness on part of the civic staff or any other reason, is yet to be established," Mr Kshatriya said. The MCGM has taken up a number of projects, including the Upper Vaitarna water scheme, deepening and widening of the Mithi river, whose flooding had caused havoc in July 2005. The municipal corporation is also implementing the Brihanmumbai Storm Water and Drainage (Brimstoward) project, costing Rs1,200 crore, with assistance from the Union government.